Cuimhneamh an Chláir conducted a pilot project at Raheen which we hope to expand to other community hospitals and day-care centres. 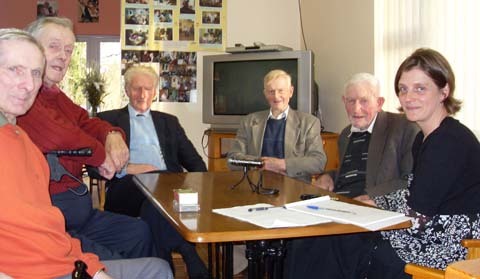 At Raheen the project team recorded the memories of the elderly residents and day attendees of this service. Four recording sessions took place with the visitors to the day-care centre. Memories were triggered using objects from the past, along with questions designed to encourage discussion of life in East Clare in the past. Topics which came up so far include the creameries, Biddy Early, schooldays, fairs and markets, emigration, courtship and marriage. An article was prepared by the R/C and was be published in the Clare Association Yearbook, 2011 based on the Raheen Day Care Centre Project.